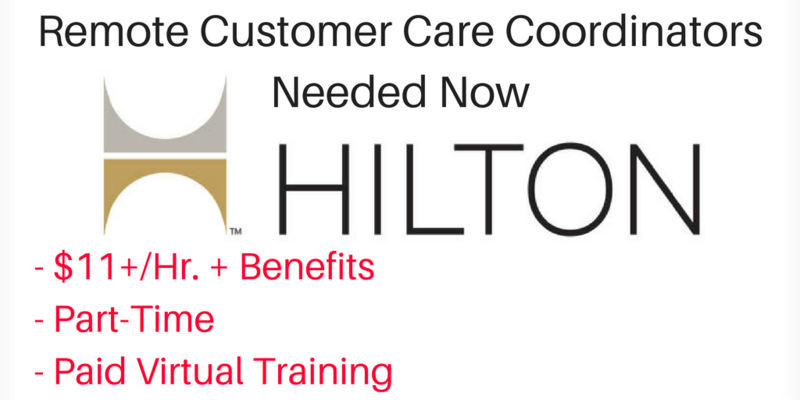 Hilton just announced hiring for more part-time Remote Customer Care Coordinators. 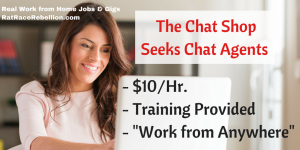 Paid virtual training. Benefits. Work commitment 20-29 hrs. per week. Hiring from most states. 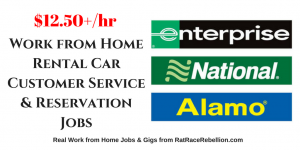 THESE JOBS GO QUICKLY, SO APPLY FAST IF YOU’RE INTERESTED! 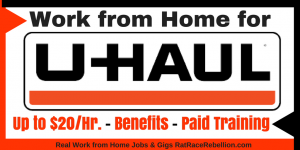 Requirements include HS diploma or equivalent, 1 year’s experience in a customer-focused role, landline phone and quiet place to work. According to our Facebook members hired at Hilton as of April, pay is $11/hr., without incentives. However, this has not been confirmed by the company. Get a $5 signup bonus and cash for surveys at InboxDollars. 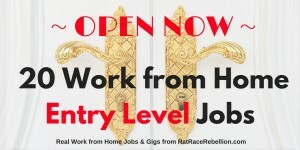 This entry was posted in Customer Service Jobs, Work at Home Jobs and tagged Hilton. Bookmark the permalink.